The #1 question I get about blogging is “How do you make money?” Blogging definitely isn’t a “get rich quick” scheme since it can take years to find your voice, create hundreds of original content posts and build up your readership. Honestly, at first you make very little money. I remember being excited to get $25/month from AdSense in the early days of my blog! As you grow your blog the amount of money obviously increases as do the opportunities. 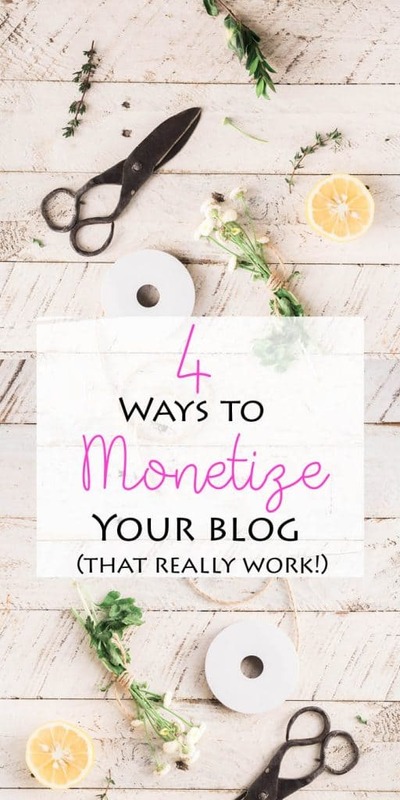 Below are 4 ways to monetize your blog. I recommend pursuing all 4 options since it’s never a good idea to put all your eggs in one basket! These are the ads you see in the posts, sidebar and at the top/bottom of blogs. This is the easiest and most low maintenance way to monetize your blog. You sign up for an ad network, install some code on your blog and then the network takes care of the ads. There are a bunch of ad networks to choose from. Some require a minimum number of pageviews per month before you can join. The most popular ad network, AdSense, doesn’t have a minimum requirement so you can start placing ads as soon as you create your blog. Ad networks pay based on the number of impressions and the amount of clicks the ads receive from your site. This is an easy way to monetize your blog but keep in mind- unless you have a large amount of traffic you’re not going to be making a lot of money off ads. That being said, ads are still a great way to bring in some passive income. Sponsored posts are a fun way to bring in extra income from your blog. Companies pay you to feature their product/service etc. Most of the time companies want your creative spin (since you know your readers best!) on the campaign. Personally, I love coming up with a tutorial/DIY that compliments or makes use of a product. It’s a fun challenge! Keep in mind- companies will want to see that you regularly post new content and that you have an audience before wanting to sponsor a post. If you’re new to blogging it’s best to wait 3-6 months (most sponsor networks require this) before pursuing this option. During this time, build up your original content and engage with your readers. Affiliate income is earned through the sale of someone else’s product. You insert links (or pics) into your blog posts and when a reader makes a purchase, you get a percentage. The more you sell, the more income you generate! There are affiliates for every type of blogging niche. ShopStyle and rewardStyle are the top affiliates among fashion bloggers. 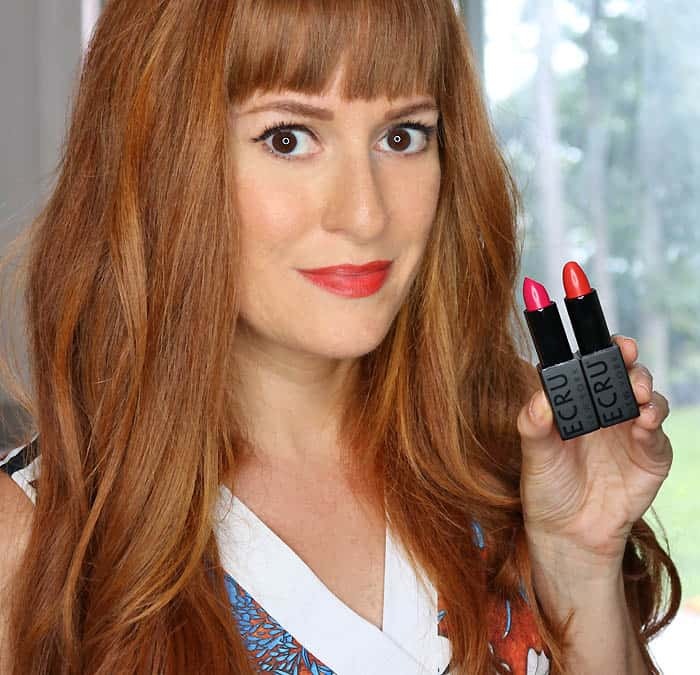 Amazon (my preferred affiliate), Share-A-Sale and ConvertKit (formerly Commission Junction) are great for lifestyle, DIY, business/tech bloggers, etc. The key to successful affiliate marketing is to only recommend products that you genuinely love/use. Readers are smart and they’ll catch on fast if you’re promoting something that is forced or fake. Creating and promoting your own products can lead to big payoffs and it can also be extremely rewarding. So many bloggers have their own products, from e-books/e-courses to fashion lines to printables. The trick is to take what you have to offer and turn it into something readers want to buy! Are you a whiz at graphic design? Why not sell logo templates? Are you an experienced sewer? How about a “intro to sewing” e-course? Products (especially electronic ones like downloads and e-courses) are the ultimate passive income for a blogger. They require a (sometimes large) time commitment to create but after that all you have to do is market the product and watch the sales roll in! I’d love to hear what monetizing strategies have worked for you!